Here at Random Curiosity, we’ve always excelled at giving you a wide variety of individual opinions from our writing team. While Takaii (who’ll be co-producing these posts with me) and I have been here long enough to remember when that was a very small team indeed, nowadays RC is a large and diverse faculty. We have writers from Europe, Australia, Japan, the U.K. (too soon to joke about that “Europe” thing?) – and that’s a strength, to be sure. A poll of our staff of the five top currently-airing series (whether new to the current season or multi-cour) as of that week. This is a measure of the series as a whole up to that point, not that week’s episode specifically (think a college football poll). A “Hidden Gems” section – a chance for one our writers to call attention to a show which didn’t make the top 5, but which they think deserves attention. Honestly, one could pick almost any sports series in any season for this category, as they tend to get little notice in the English-speaking world. I could easily have gone with the underrated Hinomaru Zumou here, but I chose Gurazeni because I think it’s just a bit better and even more ignored. Frankly this Watanabe Ayumu-directed manga adaptation is probably the best anime ever about baseball on the professional level – almost a sports version of Uchuu Kyoudai. Like that series it features a likeable everyman making his way in a profession full of flashy rock stars. 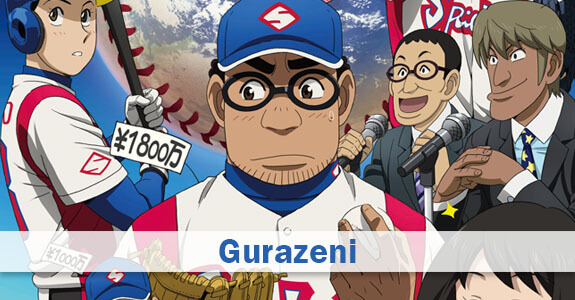 The production values are nothing special and it helps if you love baseball, but there’s plenty in Gurazeni for anyone who appreciates good writing, great characters and top-tier direction. Really ? No love for Goblin Slayer ? I wouldn’t say that – just not enough (and certainly none from me) to crack the top 5. I read your comment in your page, and I think that you are wrong. I dont know if you only have seen the first episode, but GS deserve the three episodes rule. Anyway, not everybody can like the same things. 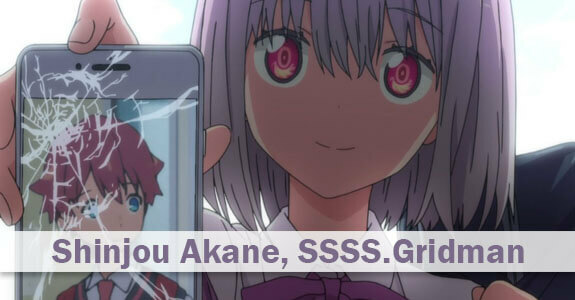 Akane is such an interesting character. After episode 6, I wonder what will happen to her next. The lack of Thunderbolt Fantasy 2 here is disturbing. I miss ‘em too – they were fun but a lot of work. Probably top shows will stay on top (ok, maybe Gridman will crash and burn), and underappreciated will stay underappreciated. 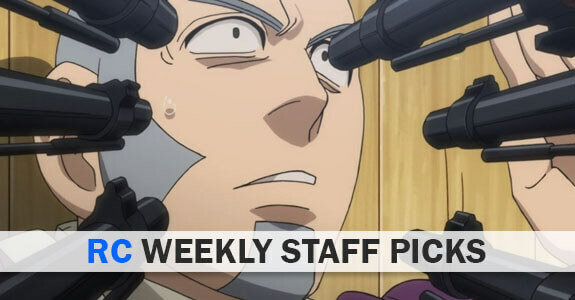 Weekly episode ratings could be more interesting, but we have something like that on Anime News Network. I’m looking towards the next Hidden Gem sections (to know what G.E. consider as a hidden gem, it’s enough to just visit his blog, so no surprise here. Gurazeni is much better choice than Radiant). Wow! I must be in a different world – slime didn’t make any cut!? for taste, I guess. 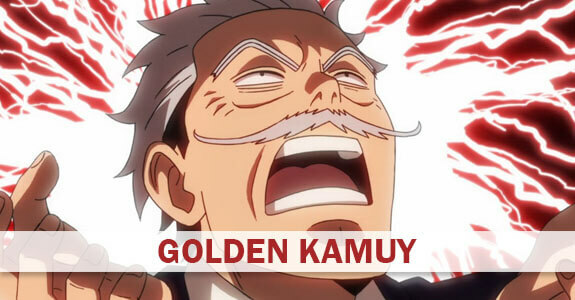 At least Golden Kamuy and Bunny Sempai is in there. Guardian Enzo’s gem was interesting if not terse). It’s okay — I voted for Slime. Cool idea! Not everybody might agree, but I think it’s nice you guys are trying a different format for blogging here. Thanks, great to hear. Just looking to broaden the repertoire a bit. I see that “Irozuku Sekai no Ashita kara“ isn’t on this list. Ahhh, seeing Seishun Buta Yarou wa Bunny Girl Senpai no Yume wo Minai behind SSSS.Gridman is killing me. If it makes you feel better, it probably would have been on my list but I’m so far behind on everything I didn’t feel like I should vote this week. Hopefully I’ll catch up for next week. Bear in mind there are a hell of a lot more than five shows airing and only five are going to make the list. Just because a series isn’t in the top 5 doesn’t mean no one is watching it or even that we don’t like it. It just means five shows scored higher when all the ballots were tabulated. As for Slime, I watch it. I like it – it’s good for what it is, an isekai LN adaptation. As for why Gridman is on the list and Slime isn’t, it’s because it got more votes from the writing staff, plain and simple. In our collective view, it’s the better show. You disagree, and that’s fine. – that’s why they’re opinions and not facts. Slime is truly fantastic and I’ll be excited to see what it can achieve over 24 episodes. But pretty much all of my top shows were ones that have had a season or more in the past few years to build them up to where they are. We’ll see if a newly airing show can challenge the status quo. There’s certainly potential amongst the current crop! Since I only have a few select shows I watch and follow, I think this is nice to get a different perspective or more general view on things, to see what other shows I might have missed! Thanks, Bambi! That’s one of the main reasons we’re doing it.